Here is yet another slow cooker recipe. Dear readers, I hope I am not burning you out on these, but I LOVE a good main dish that I don’t have to fuss with. So…enter the slow cooker! This is another successful Taste of Home recipe that I will definitely be making again. 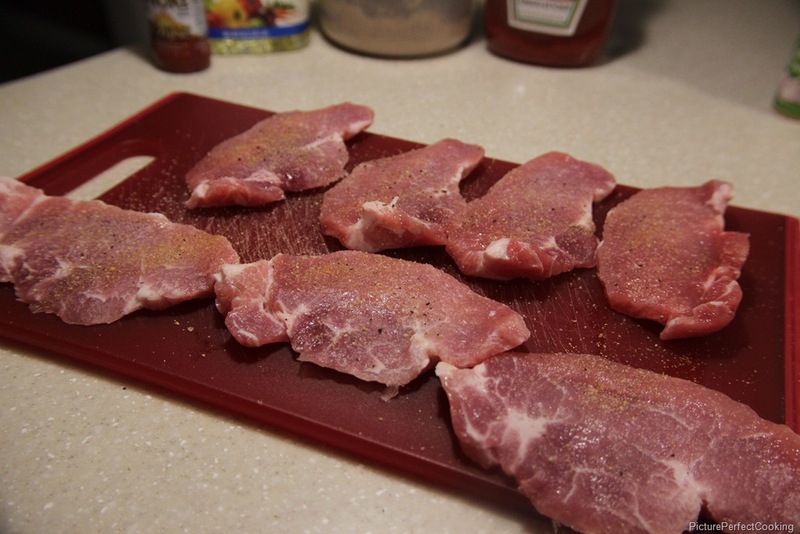 Sprinkle the chops with garlic powder, salt & pepper. Heat the oil in a large skillet over medium heat. Brown the chops on both sides. In a small bowl, combine the remaining ingredients to make the sauce. 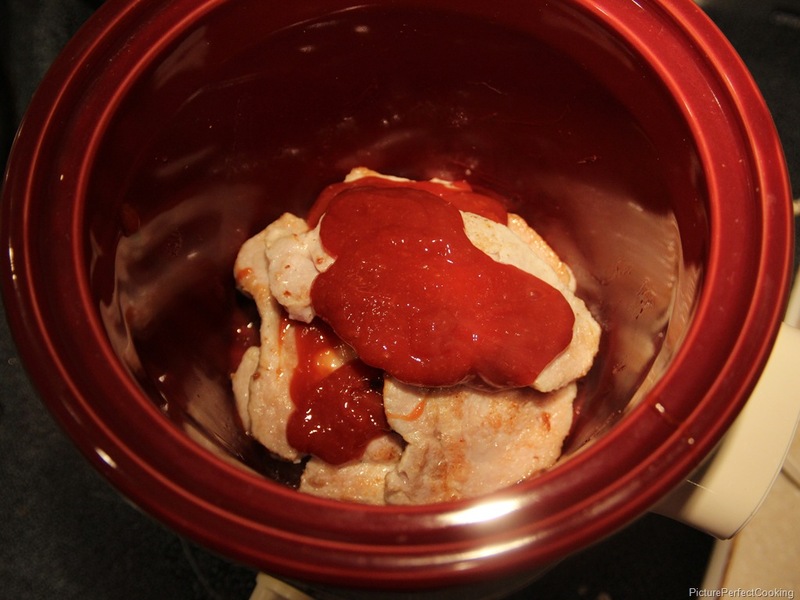 Pour a little of the sauce in the bottom of a small slow cooker. Then add a layer of the browned pork chops and another layer of sauce. Continue this until all of the chops are in the crock and covered with sauce. Cook on low for 4 to 5 hours or until the meat is tender. 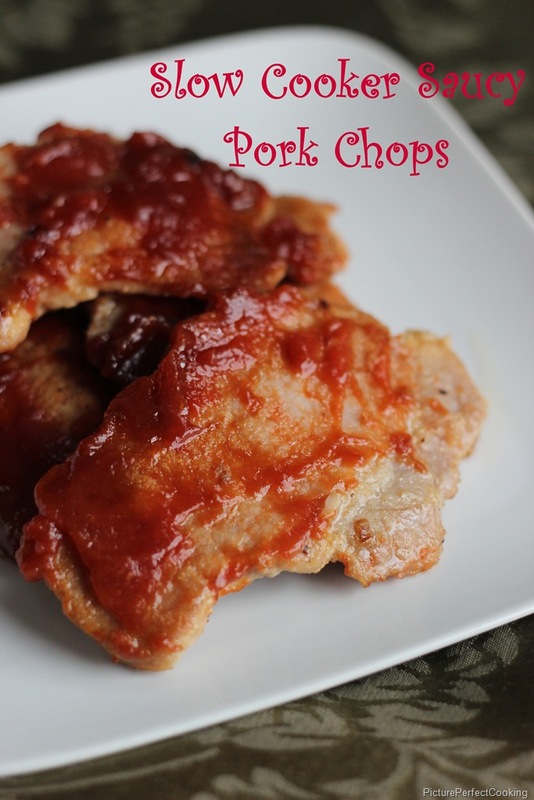 Great recipe I forget to make pork chops but the husband loves them. I am allergic to chicken so pork chops are a staple around here. I hope you enjoy the recipe if you get the chance to try them. Thanks for visiting & commenting! 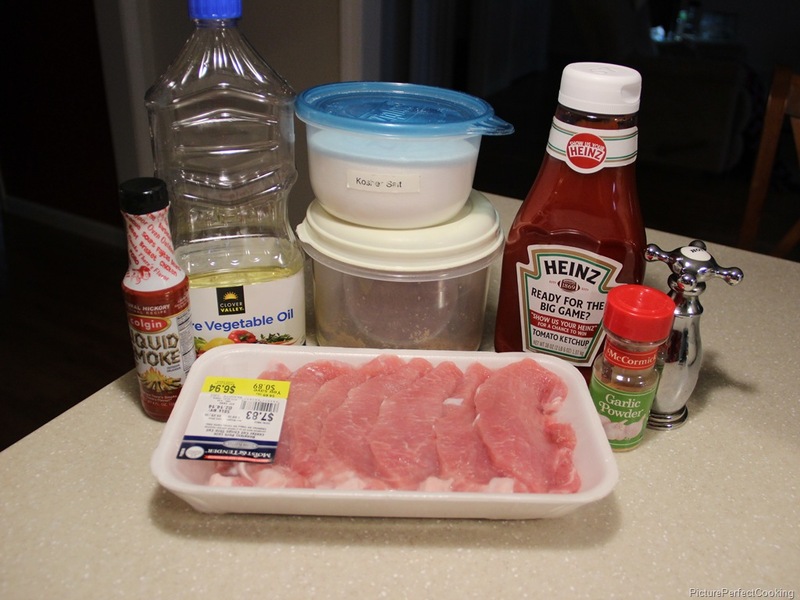 These Pork Chops would be so tender and full of awesome flavor. Thanks so much for sharing with Full Plate Thursday and hope you have a great week! Great looking pork chops! I need to try these. 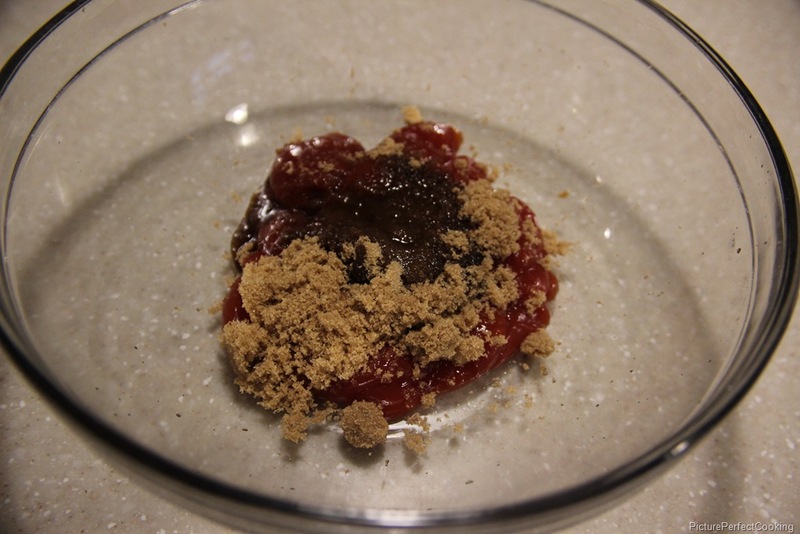 Thanks for sharing the recipe with us on Four Seasons Blog Home. I will pin this recipe! Thanks so much for pinning and for hosting the party. Have a great day!